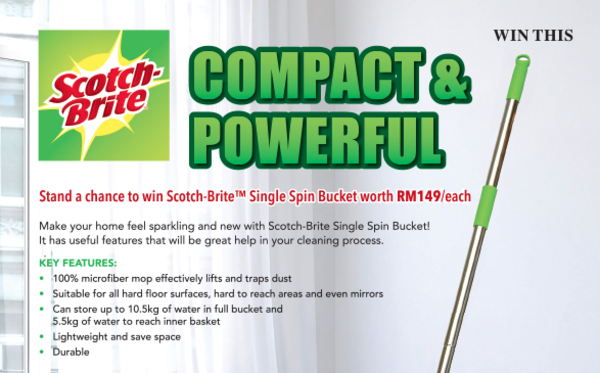 Scotch Brite is giving away Scotch Brite Single Spin Bucket worth RM149 each! Fill in a simple form and stand a chance to take this amazing floor map ideas home! 22x Scotch Brite Single Spin Bucket worth RM149 each.